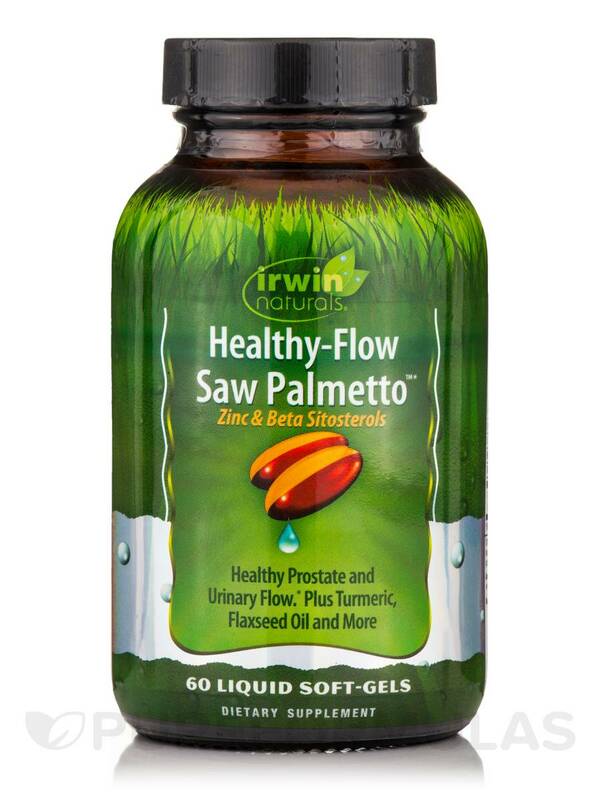 Healthy-Flow Saw Palmetto™ is a multi-pronged formula designed to promote prostate and urinary health to help you maintain the quality of life you deserve. 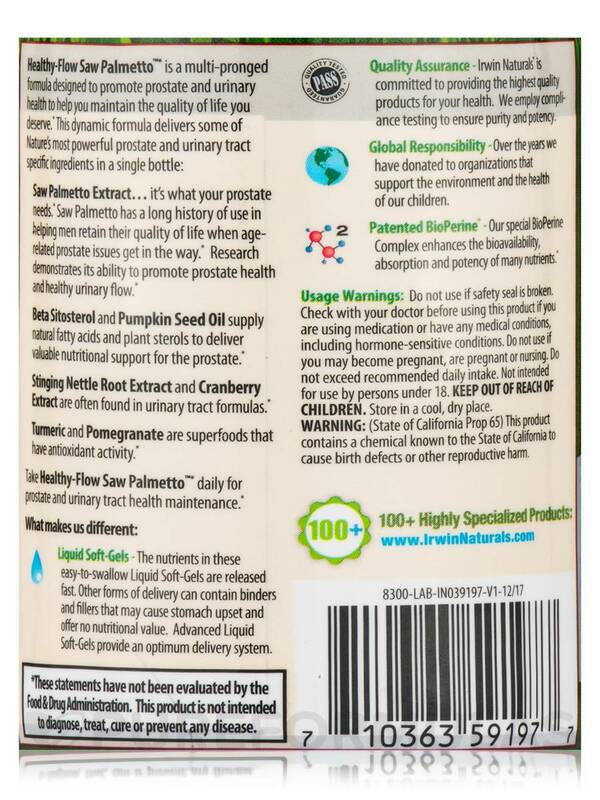 - Saw Palmetto Extract… it’s what your prostate needs. Saw Palmetto has a long history of use in helping men retain their quality of life when age-related prostate issues get in the way. Research demonstrates its ability to promote prostate health and healthy urinary flow. 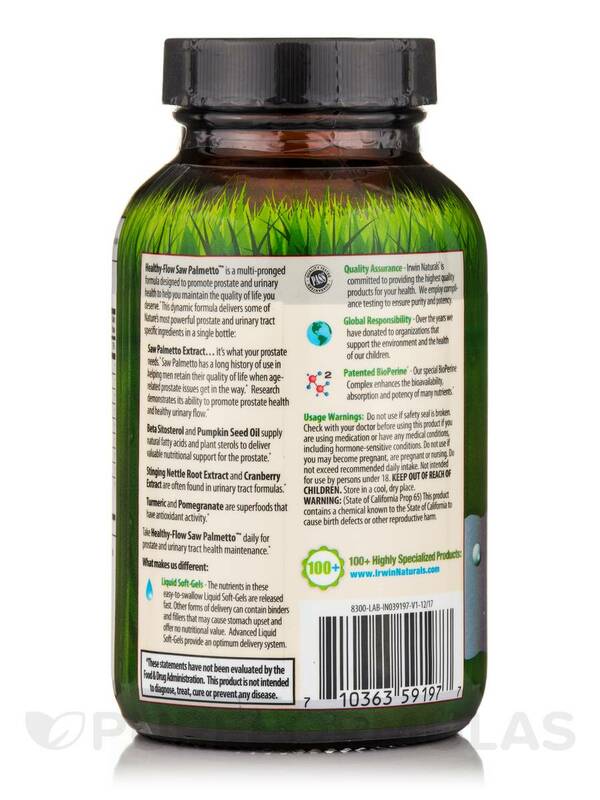 - Beta Sitosterol and Pumpkin Seed Oil supply natural fatty acids and plant sterols to deliver valuable nutritional support for the prostate. - Stinging Nettle Root Extract and Cranberry Extract are often found in urinary tract formulas. - Turmeric and Pomegranate are superfoods that have antioxidant activity. 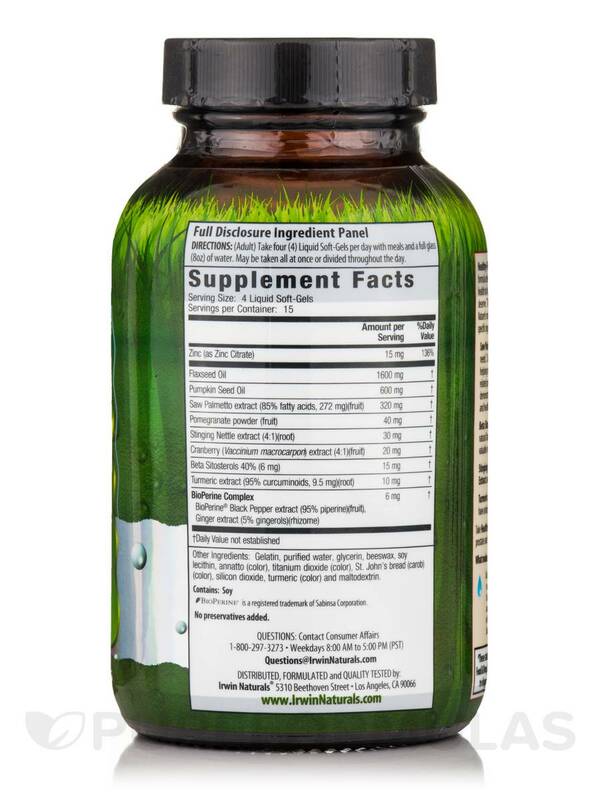 Take Healthy-Flow Saw Palmetto™ daily for prostate and urinary tract health maintenance. Other Ingredients: Gelatin‚ purified water‚ glycerin‚ beeswax‚ soy lecithin‚ annatto (color)‚ titanium dioxide (color)‚ St. John's bread (carob) (color)‚ silicon dioxide‚ turmeric (color) and maltodextrin. 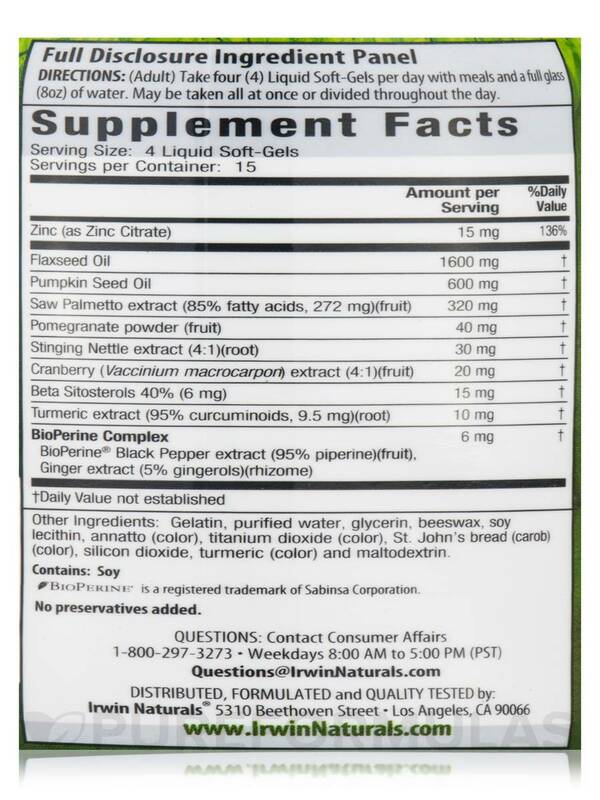 (Adult) Take four (4) Liquid Soft-Gels per day with meals and a full glass (8 oz) of water. May be taken all at once or divided throughout the day. Check with your doctor before using this product if you are using medication or have any medical conditions‚ including hormone-sensitive conditions.